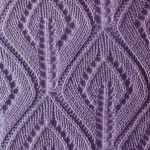 Gorgeous wide leaf lace knitting stitch pattern. 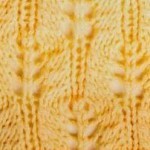 This is a fabulous looking pattern which I have tried to sample. Deciphering the chart best I can, the ‘crossed through O’ must be a double decrease. 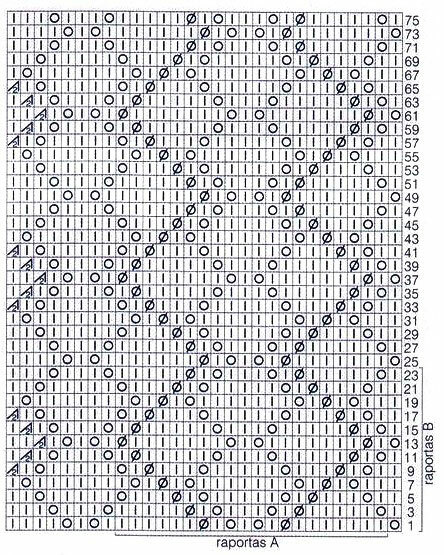 However, over the 24 row pattern repeat, with the YO’s and DDC’s, we end up with +5 sts per chart row from the YO and -4sts per chart row from the DDC’s. Therefore, that is +12 sts on the needle from cast on. But, when we take into account the ‘^2’ symbol on the left of the chart, if it means k2tog, that only removes 5 of the excess sts and if it means k3tog, that would remove 15 sts. Either way, it doesn’t add up to even number of stitches per pattern repeat. 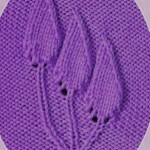 Can anyone help me with this please as I would really like to use this stitch. Ahhh, maths error. If ^2 does mean K3tog or similar, that removes 10 sts of the excess 12, not 15. Oops. But it still doesn’t work out. Still an extra 2 sts on the needle after one chart repeat of 24 rows. HELP …. Hi, just tried the pattern. The crossed /O means knit 3 !!! 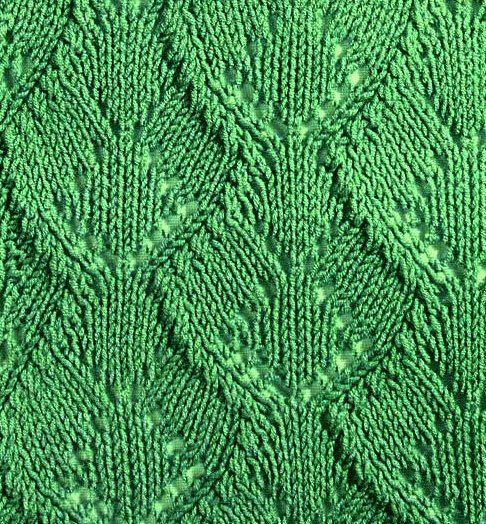 stitches together, depending in which part of the pattern, the slant should be going…either: (sl 1, knit 2tog, pass sl stitch over) or (sl 2 knitwise, knit 1, pass sl stitches over). 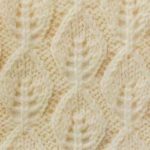 Also, after edge stitch begin the pattern with 1 extra stitch and the yo at the beginning of the chart and end the rapport with the fourth yo on the chart; at the end of the knitted part of the garment knit 1, and then edge stitch. Thus omit the last 5 stiches of the chart shown. Could you give us, explanation of symbols pls? We want to knit it.